I am not moderator !!! you did it in purpose ? you mean Joygames , don't you ? 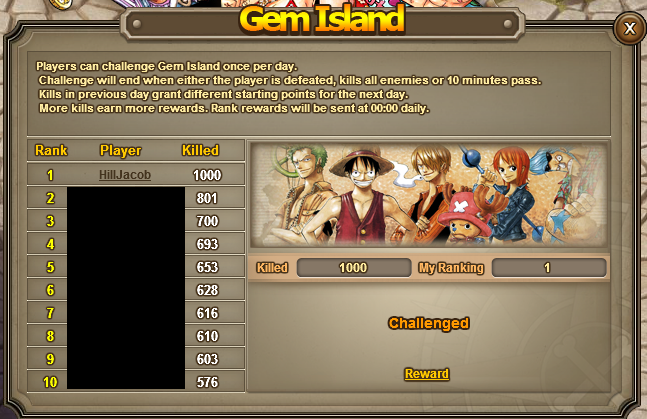 Why kill 999? Isnt it the same as 751? Only get 6 raw gems? You really need my help. Use only the captain, solved. yeah that way anyone that faces me in royal battle beat the crap outta me ??? you must be kidding , I NEVER LOOSE !!!!! GMT-6, 2019-4-25 19:45 , Processed in 0.037008 second(s), 9 queries , Xcache On.